A line drawing of the Scientific Instrument Module (SIM) with its lunar orbital science package. The SIM will be mounted in a previously vacant sector of the Apollo Service Module. 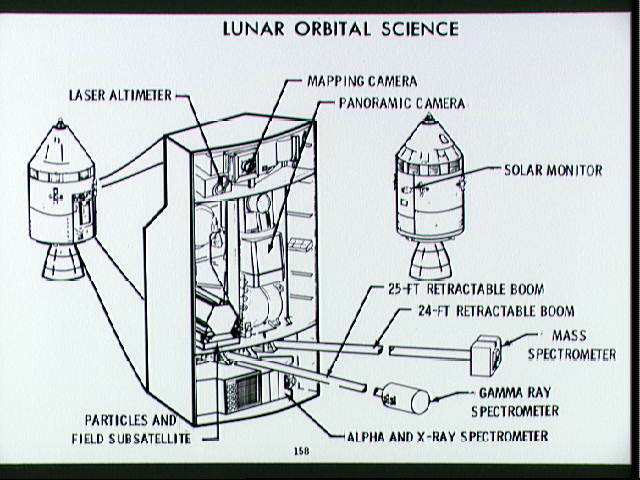 It will carry specialized cameras and instrumentation for gathering lunar orbit scientific data.